Natasha is the Apprentice Administrator at JSA Psychotherapy. Natasha is 17 years old and started working for the practice in June 2018, prior to this she has been studying at school and college developing and improving her knowledge and skills. 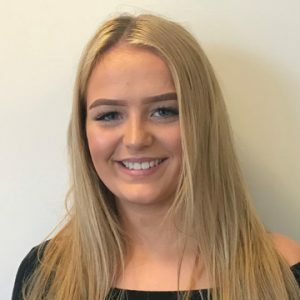 Natasha has developed a lot of good skills for the future such as teamwork skills, dealing with the public and improving her own verbal and written communication. Natasha is looking forward to the future and what is to come. In her spare time, Natasha enjoys going out with friends and spending time with my family. Her top interests are skiing, horse riding and fashion. If you would like to contact Natasha, please call her on 01282 685345.